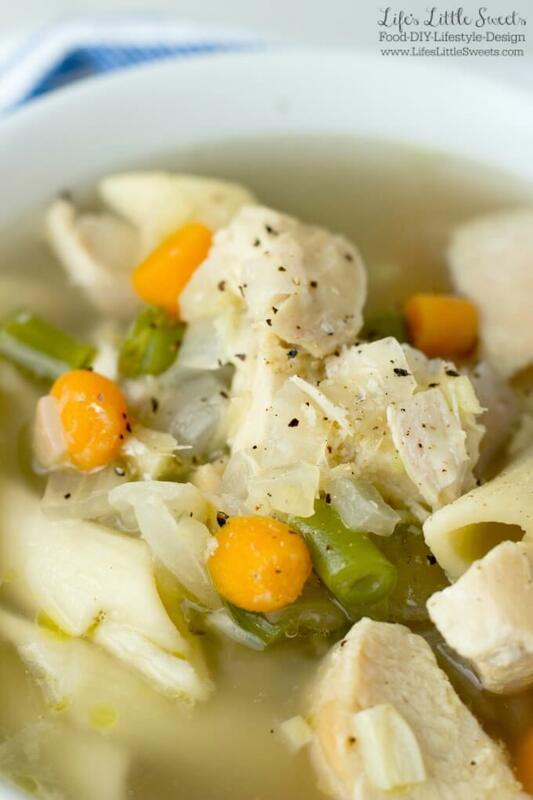 Soothing Ginger Garlic Chicken Noodle Soup is your nourishing and healthful friend when you are nursing a cold or just want a bowl of warm goodness for your tummy. There’s plenty of protein from the chicken and we usually use boneless, skinless chicken breast cut up into bite-size pieces. You can also use cut up chicken tenders or thin-sliced chicken or even leftover chicken. 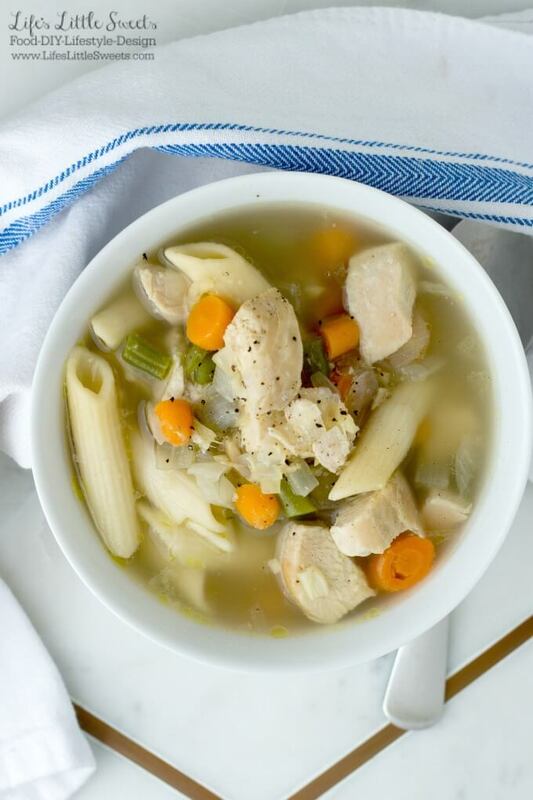 This Soothing Ginger Garlic Chicken Noodle Soup got us through the post-holiday season. 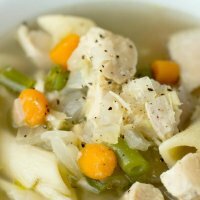 I have made so many iterations of chicken soup over the years but this one is just what we needed after being tired and sick in December. If using pasta, cook pasta according to directions on package and set aside. 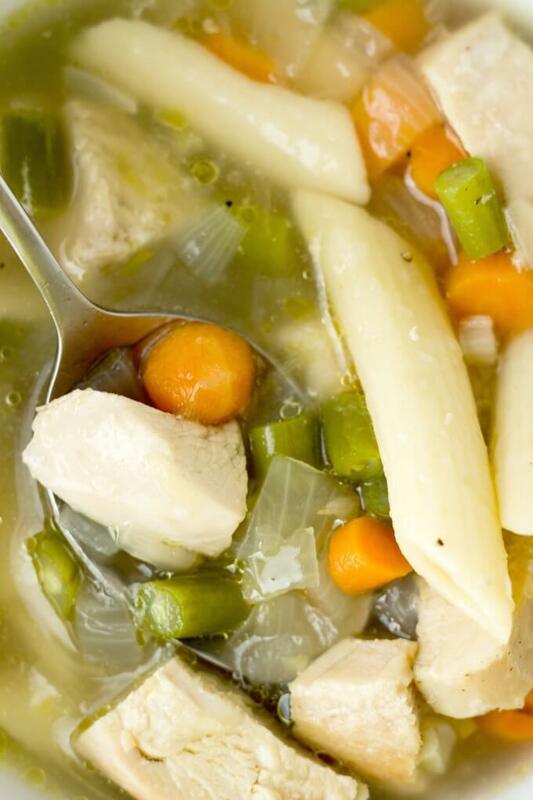 In a dutch oven or large soup pot, heat 10-12 cups of water with soup base/bouillion. 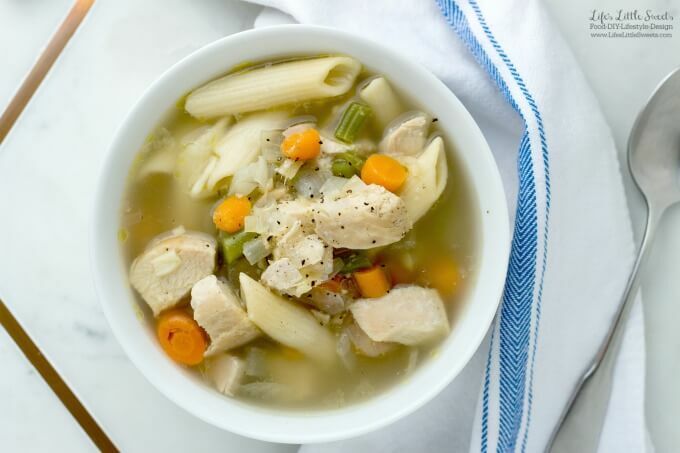 Alternately, you can use chicken broth, bone or vegetable stock broth. In a large skillet (with a lid), heat olive oil over medium-high heat. Place chicken breasts, season each side with a pinch of kosher salt and fresh cracked pepper. Sprinkle the minced garlic over the chicken breasts. Place rosemary sprigs over the chicken as it's cooking. Cook each side until golden brown and cooked through. Cooking time will depend on thickness, for a regular chicken breast this is usually 5 minutes each side. Make sure rosemary sprigs are not touching the skillet so they don't burn. You can test the chicken to see if it's cooked by taking out the thickest piece and slicing through it. Juices should run clear and it should be white throughout with no pink meat. You can cook the vegetables with the chicken, they will take 8-10 minutes or until tender, so you can add those in once the chicken is started. Add the carrots, celery, onions all around the chicken breasts. Adjust the heat, if it's getting too hot. Stir the mixture every few minutes to ensure even cooking. When the chicken is done, take it out and chop it into bite-size cubes and put it into the chicken broth. Remove the rosemary and discard. Add the minced ginger at the very end and mix with the vegetables in the skillet and then add to the chicken broth. Scrap any drippings from the pan into the soup pot. Bring the soup to a boil and stir. More salt and pepper to taste. Serve and enjoy! 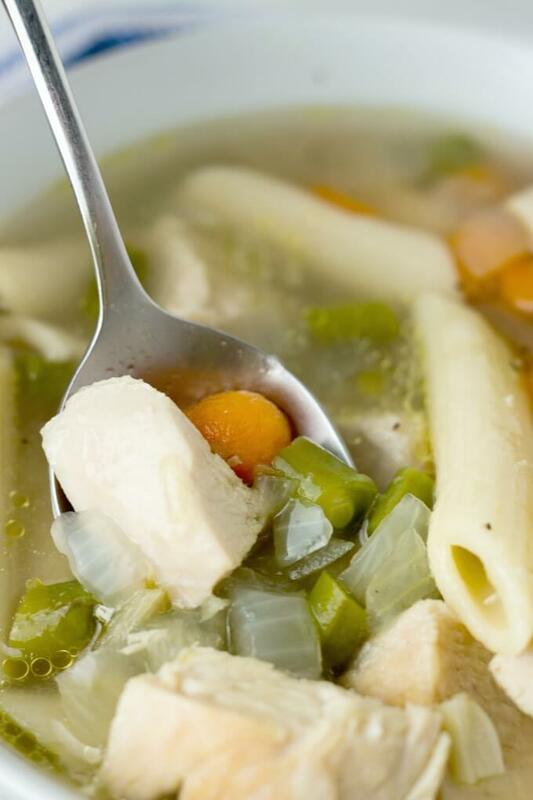 This soup also tastes excellent the next day as leftovers.